Tighter, firmer skin on your face and body makes you look more youthful and toned. 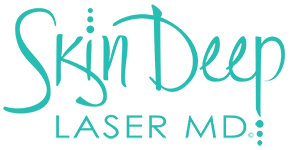 At Skin Deep Laser MD, Dr. Riehm and her team offer Pellevé® and PelleFirm® radiofrequency therapy to address facial fine lines, wrinkles, and lax skin, as well as crepey skin and the appearance of cellulite on the body. If you live in or around Fort Worth, Texas, call the office or book an appointment online to learn how you can benefit from these skin-tightening treatments. Pellevé is an FDA-cleared treatment that helps you look and feel more youthful and refreshed. Pellevé uses advanced radiofrequency energy to gently heat your skin to the deepest layers, which stimulates your existing collagen to tighten. It also promotes the development of new collagen. To learn if you could benefit from Pellevé skin-tightening, consult with Dr. Riehm. How many treatments with Pellevé will I need to see results? Patients often see results after just one treatment, but you get maximum benefit from 3-4 treatments spaced about one month apart. Dr. Riehm offers a customized plan that is tailored to your skin’s health and your aesthetic goals. Why should I choose Pellevé over other skin-tightening treatments? The Pelleve' offers a safe, pleasurable, more complete and more customizable treatment at a lower cost than other skin-tightening technology. Who is a candidate for PelleFirm? Men and women can both benefit from the skin-tightening treatments of PelleFirm Body. It can reduce the dimpled appearance of cellulite on the body as well as treat spider veins and skin tags. The best candidates have flexible skin and are in good health overall. Dr. Riehm goes over your entire medical history, current health status, and aesthetic goals to determine if PelleFirm is right for you. Does PelleFirm have any side effects? PelleFirm doesn’t cause pain during a treatment session and there’s no damage to the outer layers of your skin. The only side effect is possible redness right after treatment. This subsides within a few hours, or at most, within a day. To learn more about Pellevé and PelleFirm and their superior skin-tightening performance, call Skin Deep Laser MD or book online today.